More Abu Dhabi and a Dhow Dinner Cruise with Zeb and Chanel. 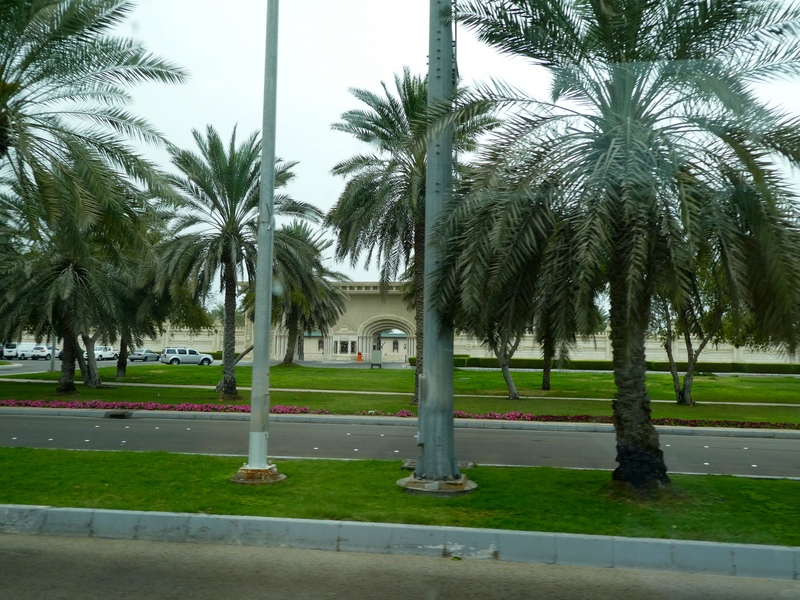 Riding through Abu Dhabi, humans, duck and bear, are staring, wide eyed at all the development and the many palaces we pass. Gazing toward the water, we spotted some planes flying low, then a few helicopters over head. 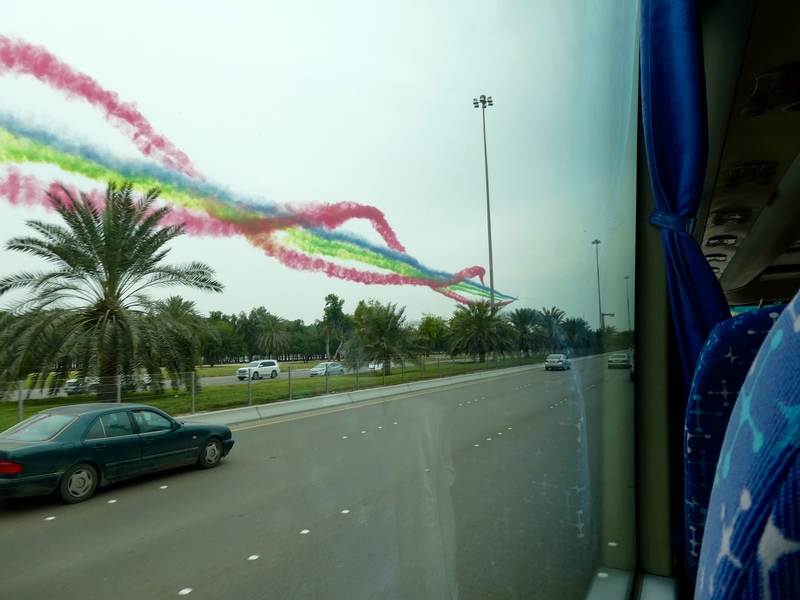 We do not know the occasion, but we enjoyed the colors left by the airplanes. A celebration of some kind? The palm trees along the streets are so pretty, and tropical. 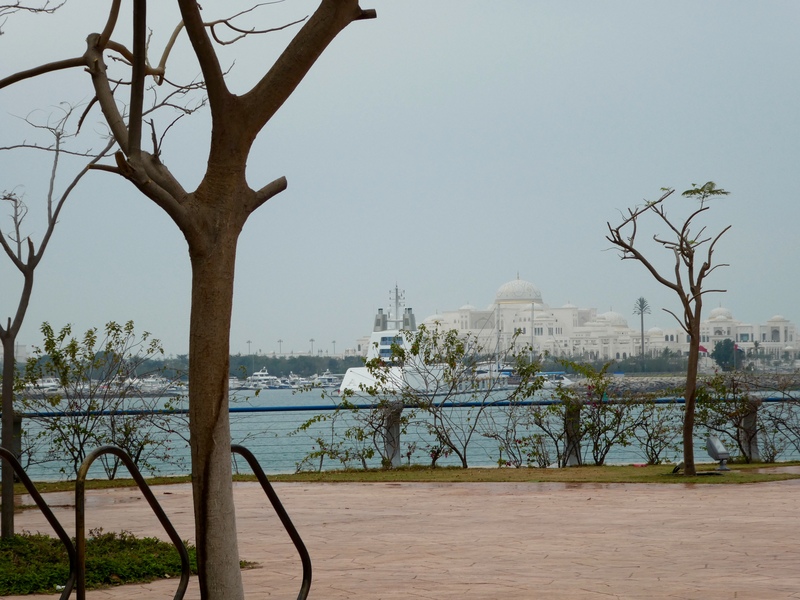 Abu Dhabi has many mosques. 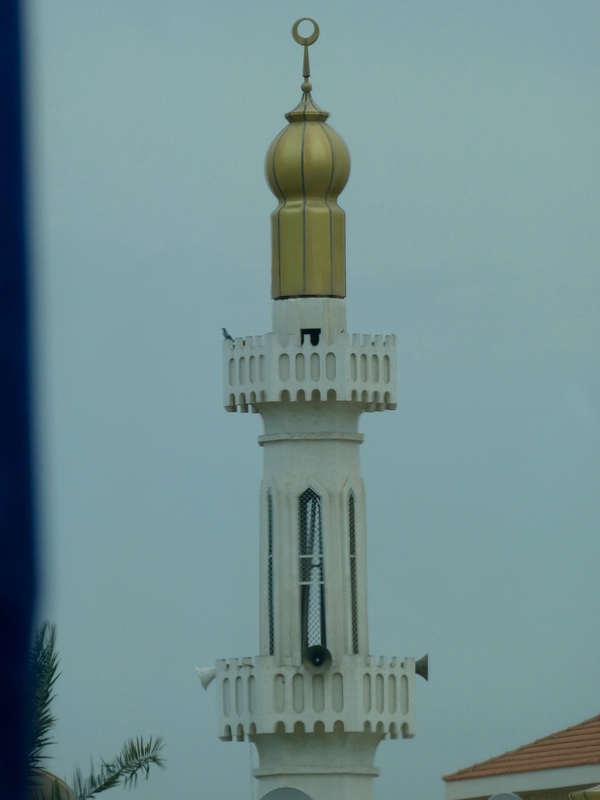 Most have speakers in a minaret, to call the worshippers to prayer. Several times each day, we hear this call. Our ears prefer some voices over others, but there is always the call. Riding along the coast, we approach the beach area of Corniche. Here again, we marvel at the innovative design of some new buildings. Looking across the water, we enjoyed the view. This is Emirates Palace, an exclusive hotel. Admission is granted only with a hotel reservation, or a reservation at one of the restaurants. 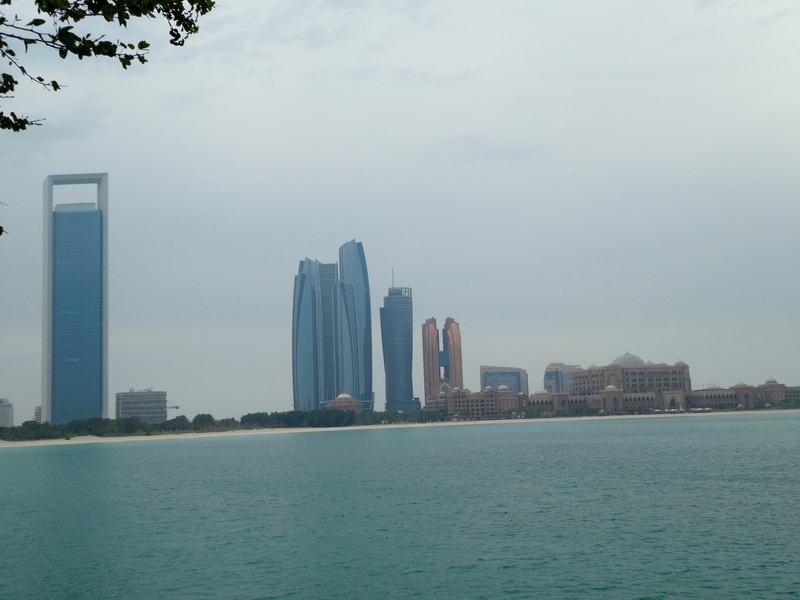 This view of modern architecture and Emirates Palace my look familiar to many of you. We were told that some of the recent movie, Fast and Furious 7, was filmed here. 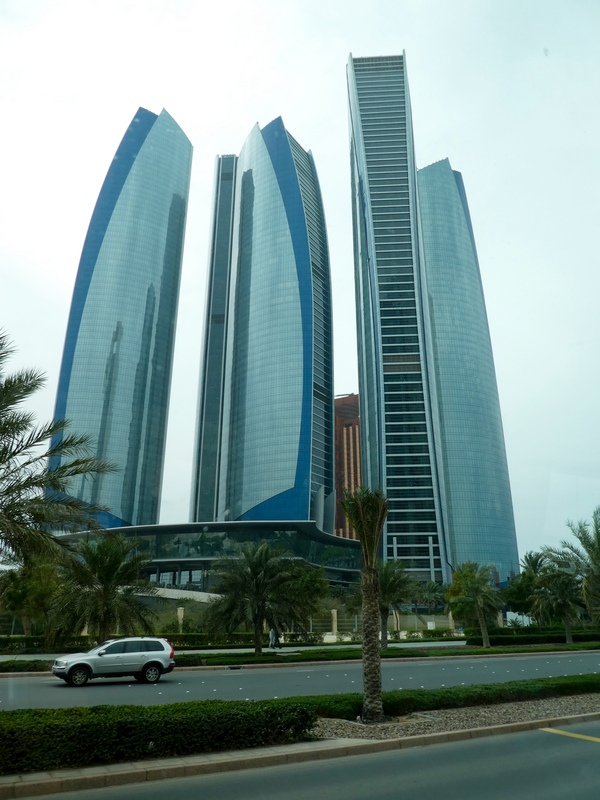 Abu Dhabi, the capital of the United Arab Emirates, is modern while retaining some older structures. Abu Dhabi’s oil reserves are expected to last many more years, but this former desert community is now a world business center and tourist destination. We enjoyed dinner on a Dhow Cruise. 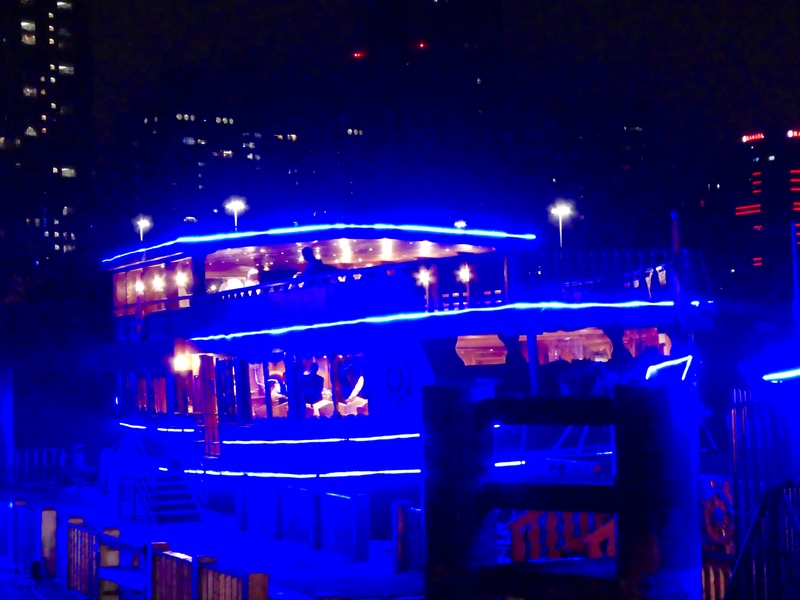 Our boat looked festive with all the lights. Our buffet dinner, delicious by the way, was served here. The fish dish was my favorite. After dinner mom and several humans enjoyed green tea with fresh mint leaves. A nice change to our regular green tea. Moving to the upper deck, I Zeb the Duck and Chanel the Bear, enjoyed the evening air and a wonderful view of Abu Dhabi. The reflections of city lights on the water is a favorite sight for me. 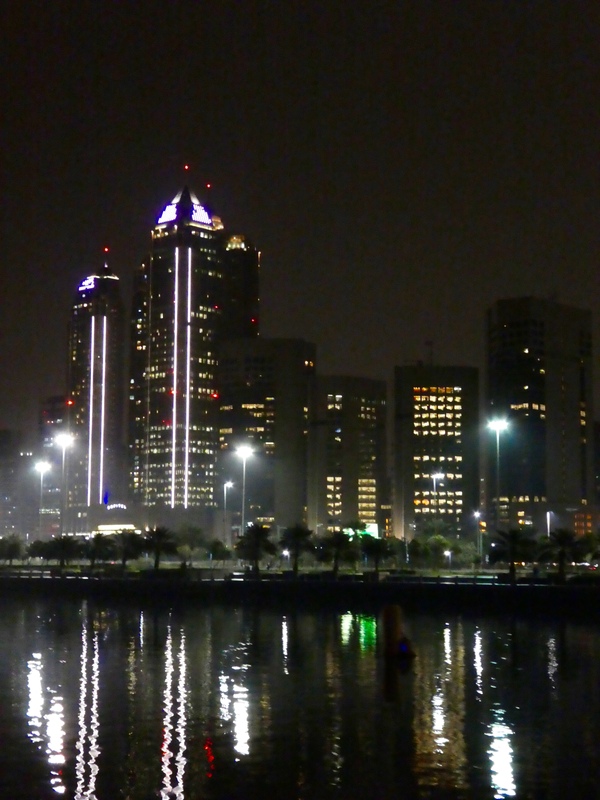 We all marveled at and admired Abu Dhabi from our Dhow Dinner Cruise. 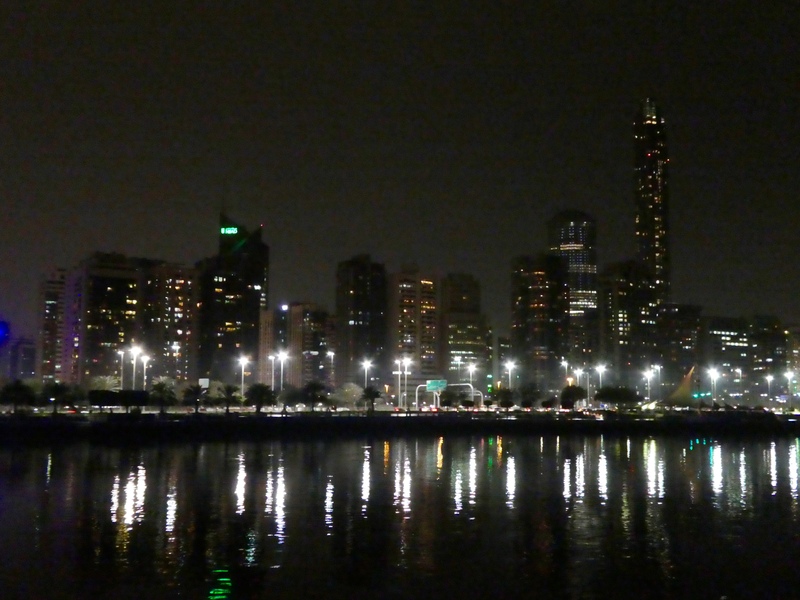 Such a pleasant evening in Abu Dhabi, United Arab Emirates. 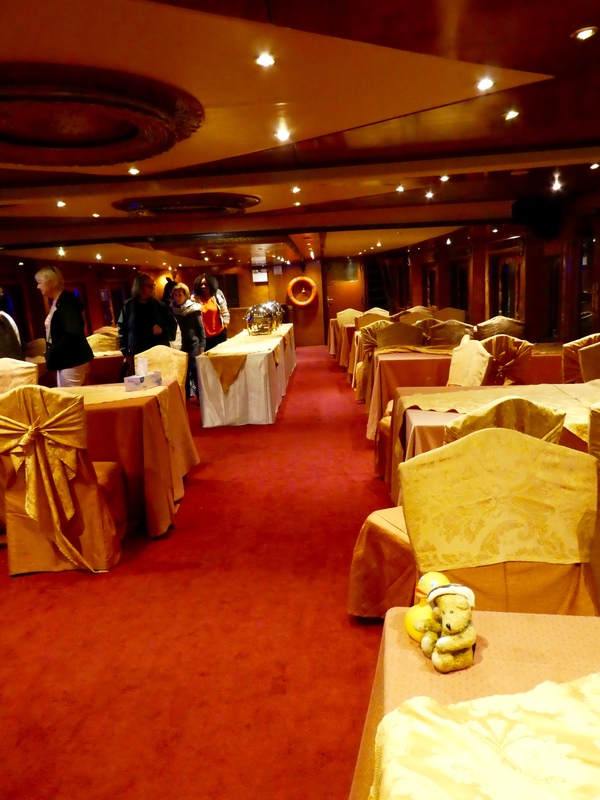 This entry was posted in Abu Dhabi, Uncategorized, United Arab Emirates and tagged Abu Dhabi, ColoradoTraveling Ducks, dhow dinner cruise, Emirates Palace, United Arab Emirates. Bookmark the permalink. How hot were the temperatures while you were there? It’s interesting to see the different styles of architecture. How exciting but not surprising that Fast & Furious 7 was filmed there. Really is a fast and furious city. So much energy.